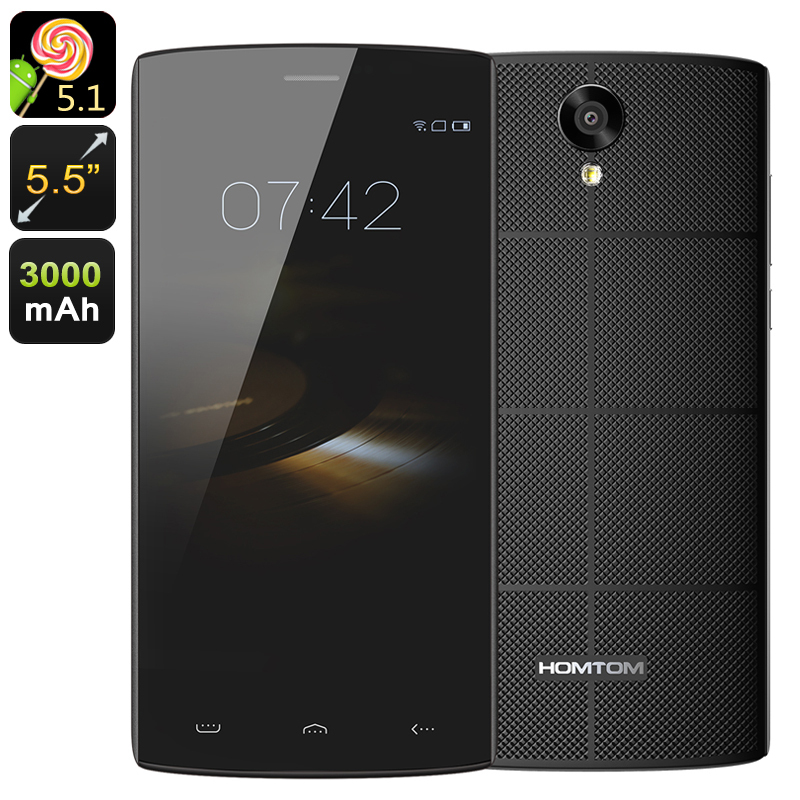 Successfully Added HOMTOM HT7 Quad Core Smartphone - 5.5 Inch 720P Display, Android 5.1, Quad Core CPU, Smart Wake, Dual SIM (Black) to your Shopping Cart. The removable 3000mAh battery will bring about 12 hours of continuous talk time and as much as 200 hours in standby which for most users results in a good couple of days between charges. With an Android 5.1 interface the phone responds really well and has Smart Wake short cuts so you can instantly open your favorite apps from the locked screen. A real time saver and fun tool for that brings added versatility to the user interface. Google play comes preinstalled on the phone and with 8 GB of built in memory you can start adding games or applications straight from the box. The rear camera can snap 8MP photos while the from camera will provide you with 5 MP selfies, but don't worry about running out of space a s micro SD card slot lets you add an extra 64GB of storage. The HOMTOM HT7 Smartphone comes with a 12 months warranty, brought to you by the leader in electronic devices as well as wholesale Android phones..
A big phone, that doesn't appear big. Not too bulky to carry, but certainly big enough to read e-books on. Easy to set up and very loud make this phone ideal for most people, and it looks good too. Being an Android, all the stuff on my SD card was transferred to the phone when I put it in from my old phone, so no having to reload all the phone numbers (only good if you already have an Android phone). If I have to write something it is that the buttons are a bit sensitive, and activate the phone at the least little touch, but for some people that may be a good thing. But when you have a cover and that touching the buttons when you close it switches the phone on, reduces the run time of the battery as the phone is always turned on. However, the vibrations and sounds warn you that the phone is 'awake'.